If you just found this site and went through the trouble of installing some, or all, of the Actions only to discover they throw up an error complaining about a missing “Background” layer then I truly appologize. It never occured to me that recording Photoshop Actions would actually record the default Layer names in the English language. 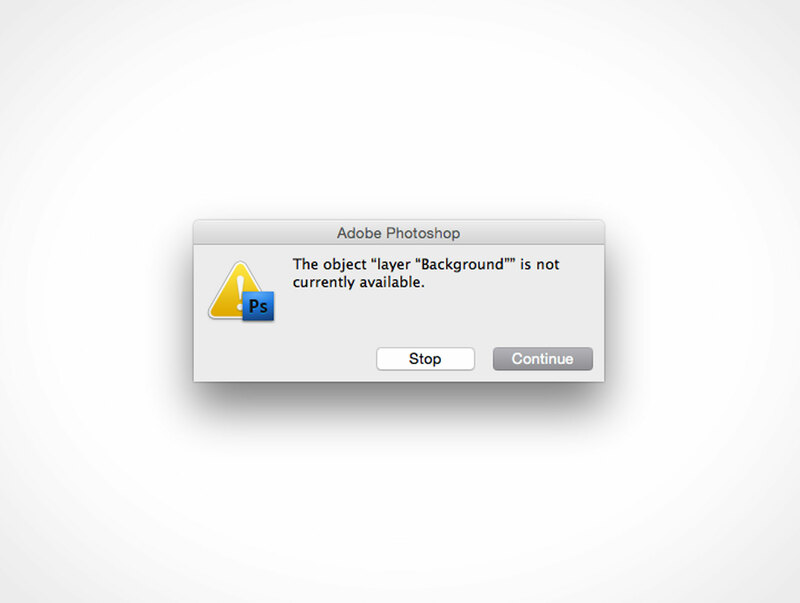 For example, whenever a new Photoshop document is created it opens with a blank Layer named Background. Also, whenever a new Layer is created it is assigned the name “Layer 1”, “Layer 2”, “Layer 3” and so on. The words Background and Layer are clearly English words which is why people using a German version of Photoshop get errors running virtually any Action from this site, and not only the German language, this issue extends to anyone running a non-English version of Photoshop. In Photoshop CC you can simply load the English language pack to temporarily work around this issue — however, owners of older versions of Photoshop must purchase the English language pack from Adobe. 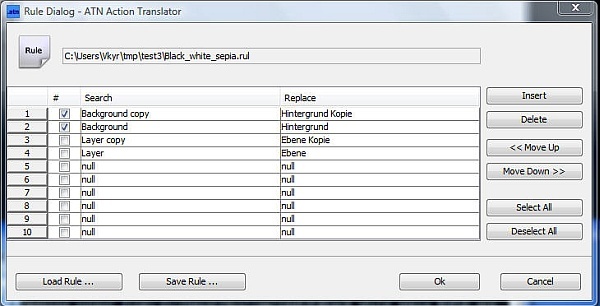 The ATN Action Translator from Krysoft is a free JAVA utility which allows you to perform a search and replace for the words Background and Layer. Simply fill out the words to be replaced (ie, Background and Layer) and then locate the Action which you are trying to run — this utility will swap out the words for your native tongue and you’ll be able to run the Action without further disruption (you will need to delete the copy in your Action panel and reinstall the updated Action). As shown in the image above, the English words are being swapped out for German equivalents. You can find more details on the Krysoft page as well as download the free utility.